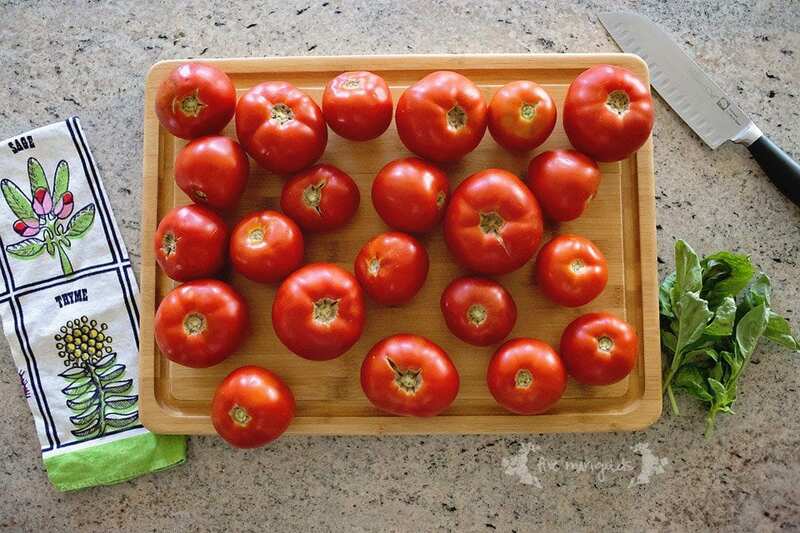 Preserve Tomatoes, With or without skins, In a flash! Newsflash: preserving fresh garden tomatoes is waaay easier than you think! Our garden is in full swing and producing lots of Beefsteak, Roma and grape tomatoes. We have tomatoes coming out our ears! No sweat though – preserving tomatoes doesn’t require a day-long, expensive canning process like it used to.